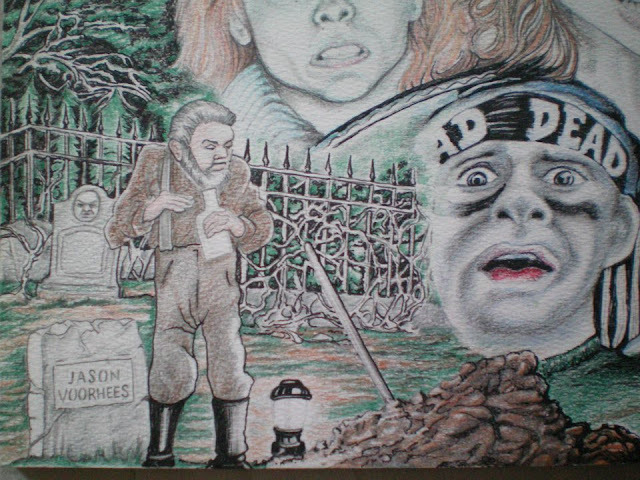 A few years ago this writer first discovered artist Lew Burgess and the artwork he was creating depicting Friday The 13th scenes using some great montages of characters. 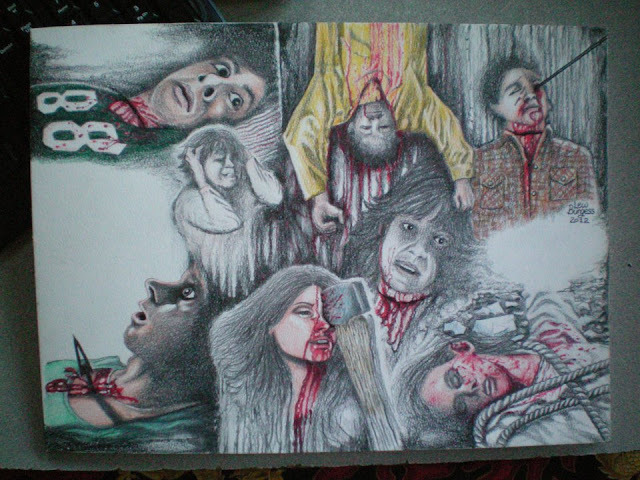 Lew has a definite affinity for the original 1980 film and it shows in his pieces. 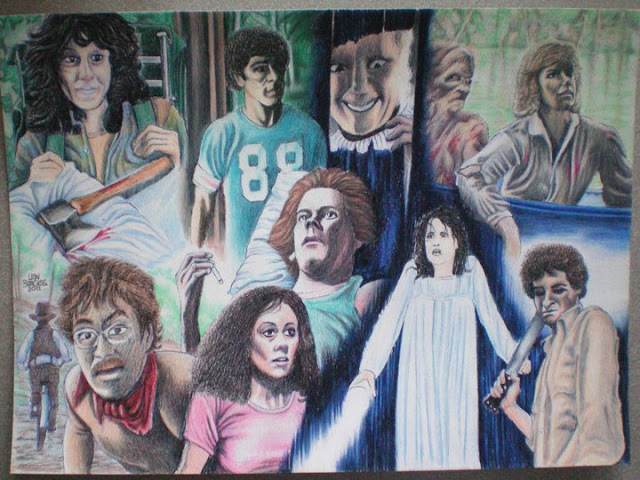 In January 2011, this site featured some newer Friday The 13th Part 2 artwork he had created which was equally as personable and interesting to look at. 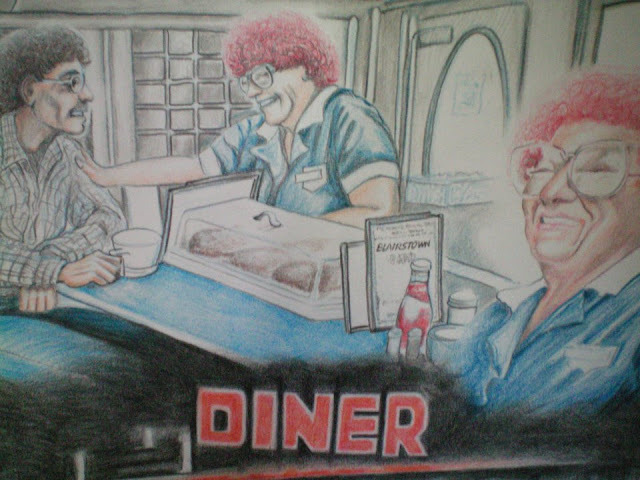 We hadn't revisited Lew's artwork since that time but were pleased to see that he has expanded upon his earlier work and so our website decided to highlight some of his newest drawings that have not been posted on the website before. 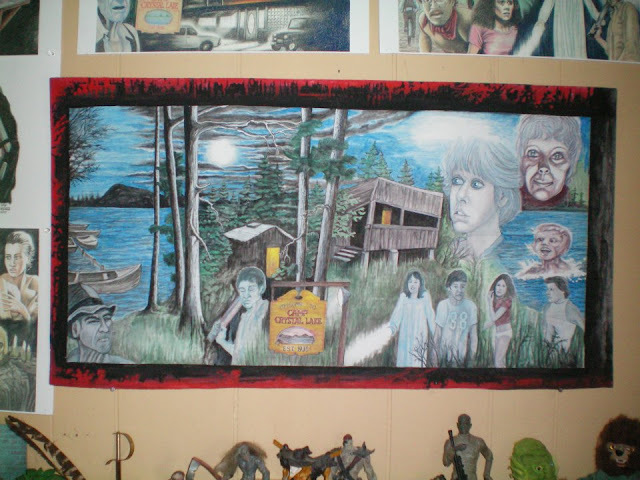 Below are some more great collection of scenes from Friday The 13th 1980 as well as Jason Lives: Friday The 13th Part 6. 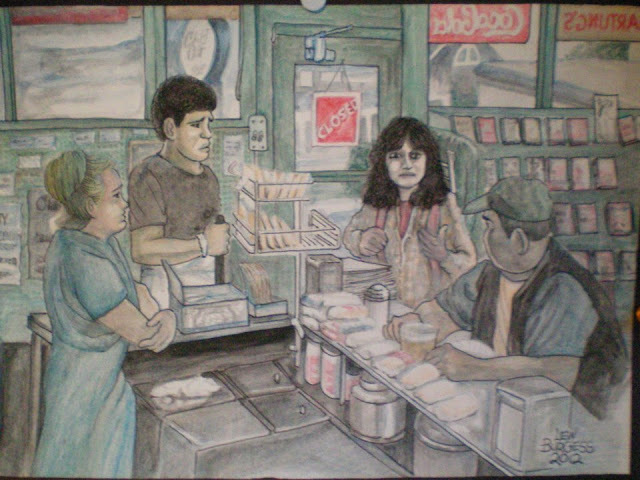 Let us know what you think in the comments below and to see more of Lew Burgess' work, please visit his Facebook Gallery!